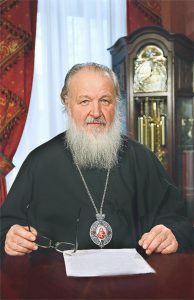 His Holiness Patriarch Kirill of Moscow and All Russia has sent a message to the Primates and representative of Local Orthodox Churches who have assembled in the Island of Crete. Below is the full text of the message. I think that the Ecumenical Patriarch has done everything possible to address the concerns of the Churches regarding the convening of the Holy and Great Council. In the case of Church of Russia, even the venue for the Council was changed from Turkey to Crete due to current governmental political realities in order to allow Patriarch Kirill to attend.